Paul is proud of the fact that he was named after the late Dr. James Ayers, MD, a close family friend. He traces his passion back to when he was 10 years old, and his love of animals of all kinds led him to stage funerals for those creatures who succumbed to incident and accident, in his family’s back yard on Johnson Street, in Clinton. It was there he learned the simple, healing value of ceremony. At the age of 15 Paul started helping at Royal Hall Funeral Home, under the late Romer Hall. His passion for caring for others led him to work on the Clinton Rescue and Fire Department for over 20 years. He’s proud of the fact that in 1992, he was appointed the first full-time paid firefighter in the City of Clinton, under Chief Leonard Edge. Paul is a graduate of Clinton High School, having received his diploma in 1984. Just a year later he started his apprenticeship at Crumpler-Honeycutt Funeral Home under the guidance of the late James Furman Honeycutt, and the late Gene Barefoot. It was later, in 1987 that Paul graduated from the Gupton-Jones College of Funeral Service. The plans to open his own funeral home came through the collaborative dream of Paul. He opened Hope Valley Funeral Service & Cremation on January 19th, 2009. Paul has been a member of Clinton Fire & Rescue for over 20 years giving back to the people of Clinton and Sampson County,Paul was the Co-Founder of Sampson County Fireman's Honor also a Faithful Member of Clinton Family Worship Center under the leadership of Pastor Lynn Blackburn. Paul has eight children, Heather Dawn 24 lives in Dallas TX, Andrew Paul, Jessica Beatty Turner both of Clinton, Madison Reese Hawkins, Kipp Alterman Hawkins of Clinton, Emily Nicole Simonson, Evelyn Elaine Simonson and Olivia Grace Hawkins all of the Home. Fonda Beatty Hawkins resides in Clinton, NC with her husband Paul Hawkins and her children Emily Simonson, Evelyn Simonson, Kipp Hawkins, Olivia Grace Hawkins & Madison Hawkins. 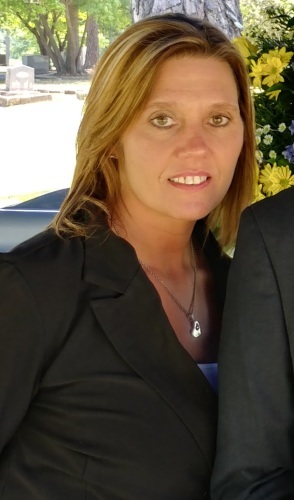 She has two older children Jessica Turner of Clinton and Andrew Hawkins of Autryville. Fonda also has two grandchildren Haylee Turner and Jackson Turner both of Clinton. Fonda is the daughter of Thomas Beatty of Fayetteville and Cathy Corbett of Turkey. She is a faithful member of Clinton Family Worship Center under the leadership of Pastor Lynn Blackburn. After working in the healthcare field for several years she found her career was lacking the fulfillment she desired. Surprisingly, Fonda found her contentment was in the funeral industry. She found her passion in helping those in their time of need. Fonda has been a part of the Hope Valley Family since 2010. Jerry Lamont Nowling resides in Harrells, North Carolina, His parents are Mr. & Mrs. Charles and Rela Nowling Jr. He has Three (3) brothers. Jerry is a 2002 graduate of Union High School and is a member of Hayes Chapel Missionary Baptist Church under the leadership of Rev. Alford Holston. Jerry has been with Hope Valley Hawkins since January 2012. Emily is the daughter of Paul & Fonda Hawkins of Clinton and David Simonson of Fayetteville. Her brothers and sisters are Andrew Hawkins, Jessica Turner, Madison Hawkins, Kipp Hawkins, Evelyn Simonson & Olivia Hawkins. Emily is currently a senior at Sampson Early College High School in Clinton and her future plans include continuing her education at SCC to attain her bachelors degree in Nursing then transferring to UNCW to finish her education by graduating with her Masters of Science in Nursing (MSN) then possibly working to attain her Doctor of Nursing Practice (DNP). Emily is a member of the Beta Club, Key Club, Ducks Unlimited, Fellowship of Christian Students, she is a faithful member Clinton Family Worship Center under the leadership of Pastor Lynn Blackburn and a member of the Sr. Youth Group. Emily is also a member of the adult choir and of the Sacrifice Arts Ministry dance team and a cheerleader with the Champions in Motion Organization. Kipp is the son of Paul & Fonda Hawkins and Clay & Heather Carter. He is a student at Mintz Christian Academy. Kips siblings are Andrew Hawkins, Jessica Turner, Madison Hawkins, Emily Simonson, Evelyn Simonson & Olivia Hawkins. Kipp works at Clay Carter Farms and he owns his own cows. Kipp is on the Mintz boys Soccer team. He is a member of Grove Park Baptist Church and also attends Clinton Family Worship Center and Rowan Baptist Church. His future plans is to enlist in the Air Force upon graduating High School. Evelyn is the daughter of Paul & Fonda Hawkins and David Simonson. Her siblings include Andrew Hawkins, Jessica Turner, Madison Hawkins, Emily Simonson, Kipp Hawkins & Olivia Hawkins. Evelyn is currently a student at Sampson Middle School. Her favorite subject is Science. Evelyn is a member of Clinton Family Worship Center under the leadership of Pastor Lynn Blackburn & a faithful member of the Jr. Youth Group. Evelyn is also a student of Mrs. Becky Spell Vann at The Learning Station and a cheerleader with Champions In Motion Organization. Evelyn aspires to be a Scientist when she grows up. Madison is the daughter of Paul & Fonda Hawkins and Clay & Heather Carter. Madison siblings include, Andrew Hawkins, Jessica Turner, Emily Simonson, Kipp Hawkins and Evelyn Simonson. Madison is a member of Clinton Family Worship Center under the leadership of Pastor Lynn Blackburn, she also attends Rowan Baptist Church. Madison is currently employed at Kids Only Preschool. 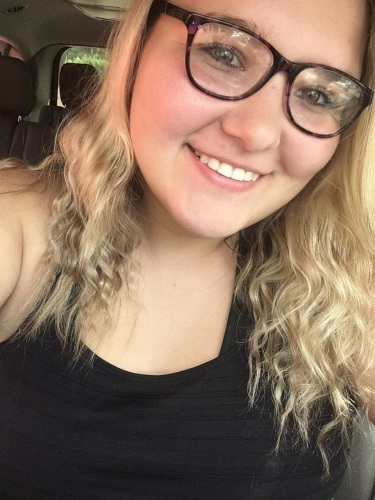 Madison is a Mintz Christian Academy 2016 Graduate and has attained her early childhood credentials at Sampson Community College.